I see no other person in Africa who has so consistently given of himself and his resources to support education — from primary to University — under the most difficult of circumstances… Nigeria is fortunate to have the opportunity to elect such a man to lead the country to its rightful role as an African and world leader. There may not be many more such chances. Nigeria is poised to be one of the most important nations in the world. It has the resources, the population, the creative and entrepreneurial power and the geo-political presence to lead Africa and the world through some of the great global challenges of this century. Bill Gates, along with Warren Buffet, are investing heavily in Nigeria’s future. The Gates Foundation has programmed $1.6 billion towards helping solve major social and economic problems in the country. Gates, an objective and reasoned observer of the potential of Nigeria, clearly identifies the problems that stand in the way of reaching the country’s potential. I share his view, which is why I strongly support giving Atiku Abubakar a chance to lead Nigeria into its rightful position of world leadership. Education, particularly girls’ early education, and primary health care, with a strong emphasis on early childhood nutrition, are sadly lacking in Nigeria’s investment plan. These areas are where prior Nigerian politicians have failed. The results of this systematic neglect of the basics are that millions of poorly educated and poorly nourished Nigerians are left without the capacity or the tools to face the future. In 2010, at the request of the then newly appointed president of the American University of Nigeria (AUN), I joined the governing board of that Institution. I continue to serve as vice chairman of the Board, dedicating my time and effort without compensation. During this time, I have had the opportunity to observe and interact with AUN’s founder and chief benefactor, Atiku Abubakar, on a personal and professional level. I have worked and lived in Africa since 1968 and have been part of developing several institutions of higher education on the continent. In no other country have I encountered a person who has dedicated so much of his personal fortune to supporting an American-styled University. I have dedicated my professional career to that approach and to the use of education as a fulcrum to improve the world we live in. The opportunity to assist in this pioneering effort to create a University in impoverished rural North-Eastern Nigeria, has been an honour and a privilege. 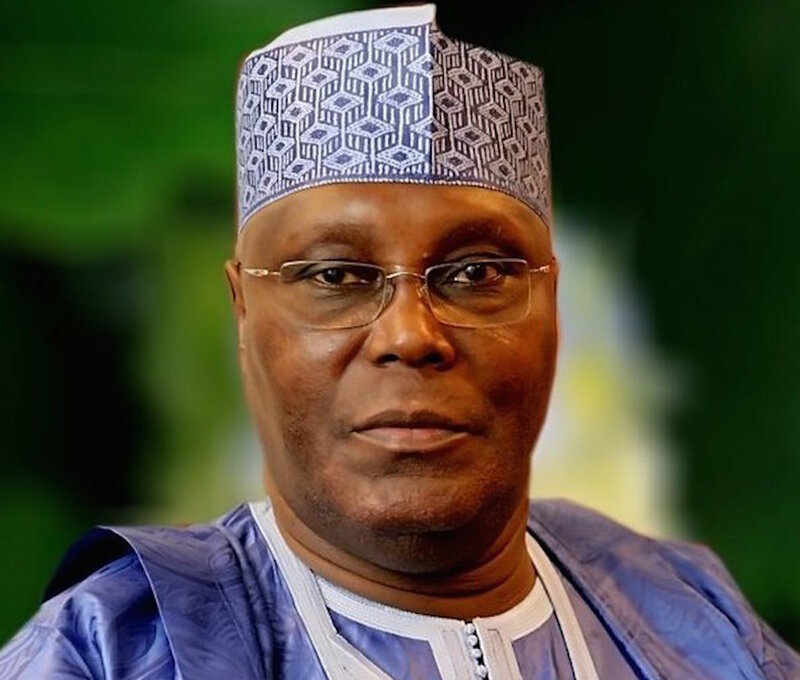 Atiku himself was motivated to found AUN by his conviction that his life and career had been changed by two American teachers – Peace Corps volunteers. He felt, as I do, that the European elitist model of education still ruling the Nigerian academe did not best serve the needs of Nigeria with its rich potential of human capital. So why is an American style of education important to Nigeria and to Africa? First and foremost, the American approach is an applied one. America has a great tradition of land grant universities that are dedicated to applied research in service to the local areas where they are located. As part of the University system, they support outreach workers or extension workers to take the results of this research to the local producers as quickly as possible. In a rapidly changing technology-driven world, this element of constant community education is vital. AUN has dedicated itself to being a development University “focused on resolving Nigerian problems of social and economic development and then applying these solutions to the rest of Africa.” Mr. Abubakar strongly supports this direction, intellectually and financially. He clearly understands the need to have the most current technology applied to resolving local problems and has put his own resources to work, doing so on countless occasions. Community outreach and community involvement are another element championed by the American style of higher education. AUN programmes, such as Feed and Read for destitute local children, taking in and educating over a hundred Chibok “girls”, and the Adamawa Peace Initiative, in response to the Boko Haram uprising, are all successful outreach programmes that have demonstrated a different, more applied, and yes, more American style of higher education. The American style has always focused on critical thinking and individual innovation in thoughts and actions. Classes are not just exercises in memorisation but are designed to challenge and stimulate analytical processes. The individual and cultural change required to embrace the characteristics of modern society and rapid change do not come easy. Atiku himself was motivated to found AUN by his conviction that his life and career had been changed by two American teachers – Peace Corps volunteers. He felt, as I do, that the European elitist model of education still ruling the Nigerian academe did not best serve the needs of Nigeria with its rich potential of human capital. His effort to build a prototype at AUN has not been without its problems, including a US Congressional investigation into the relationship with American University in Washington. When I joined the Board, along with Eamon Kelly, the former president of Tulane University, we engaged the services of one of the best law firms in New York to look into the charges. Dr. Kelly had been president of the National Science Foundation and the American Association of Universities in the United States; he could not afford any hint of wrong doing. The response from the lawyers was that there was absolutely nothing in the Congressional report that involved Atiku Abubakar. With this assurance, we both joined the Board. We have never had cause to regret that decision. During the years that we at Tulane actively supported the AUN effort, its footprint as a University dedicated to development was firmly established. Even with the day-to-day problems of operating an American style institution in the far north of the country, surrounded by Boko Haram, the University has grown and matured. AUN has developed new programmes in entrepreneurship and law and is planning other specialised degree programmes in applied development areas. The University has created innovative outreach programmes that fought to bring peace and sustainable development to Adamawa State and by extension to all of Nigeria. I see no other person in Africa who has so consistently given of himself and his resources to support education — from primary to University — under the most difficult of circumstances. He understands the role and importance of technology, and perhaps more importantly has the personal integrity and courage to listen to others who sometimes disagree with him, and to change his mind accordingly. Nigeria is fortunate to have the opportunity to elect such a man to lead the country to its rightful role as an African and world leader. There may not be many more such chances. William Bertrand is Wisner Professor of Public Health at Tulane University, New Orleans, Louisiana, USA.